I want to share my experiences that lead me to Wealthy Affiliate. When I started studying about how to make money on the Internet I had the misfortune of falling for a few of the big “get rich quick” schemes. There are many internet programs offering instant success. You may have seen them or even be familiar with them. You know the ones I’m talking about. The sites where you end up at a page with nowhere to go. Your only choice is to either click on a button, watch a video or sign up for some free little tidbit of information. They can also entice you with a sense of urgency like an awesome deal that you shouldn’t pass up or else you will never have the opportunity again. They often infer or even guarantee that you’ll be able to make much more money if you just sign up right away. When you decide to leave the page they suggest you continue to stay on their page to receive an even better offer. If you do remain on the page they can be really persistent and will usually try to get all of your contact information as you once again try to exit the site. Now I think this marketing strategy might work for certain services or products, however I personally don’t like this type of marketing. I do not trust any of these types of ads. Granted I did learn a few good skills and gained a little insight in exchange for all of the money I spent. For example they showed me how to setup an email list and how to create capture pages that I now use with a little more discrimination. After many failures I finally gave up because I didn’t get the guidance that I needed to succeed. I found I was only selling someone else’s hype and all the while believing I was doing it for myself. I really found out what most these programs were all about! I felt I would never get the support I truly needed unless I agreed to upgrade to their premium memberships. I knew they would help me any further until I invested more and more money. This ultimately led me to the realization that I was actually just supporting other people’s success; at my own expense. After several months I gave up on trying to get my online business started. Instead I began focusing on what was truly important to me. My heart’s desire. My original music, my band. I know my real passion in life is writing and producing music. This was the motivation and angel I needed to get my website going. Having this inspiration gave me the encouragement to proceed. I was able to build my own website and get it up and running. Once it was published I began promoting my band. If you have trouble deciding on a theme or product for your site simply write down what excites and interest you. You may find you have a very long list. I soon found out that building a website is just a part of having an online presence. Learn how easy it is with this video. There are many things you need to do in order to create a successful online business/musician’s website. I was stuck once again so I started to look into ways of promoting my site. Various options are available for getting your service or product into the online marketplace. After quite a bit of research I could not find a company that gave me the type of control I wanted for running my own business. Then I remembered a program I had previously run across. I had even started a free website there. I wondered if I should go back and take a second look. I had felt supported and had gotten a lot of value out of my free membership. Taking some time off had given me a better perspective and led me to find a respectable company to work with. That “free membership” was Wealthy affiliate. I realized I had all the resources I needed to make my business work. I had them all along, I just didn’t realize it. I told you this story, so you know that I don’t endorse Wealthy Affiliate because I am chasing a get rich scheme. I am sharing this story because I know there are a lot of people out there looking for a legitimate way to make money online. This is honestly the only downside to the program while trying to be unbiased! Wealthy Affiliate can honestly be used by anyone for any reason, anywhere in the world (almost). My emphasis is on the business of marketing for musicians and artists because I have a personal interest in these subjects. Find your passion and learn how to use the tools provided to promote yourself while keeping control over your website. 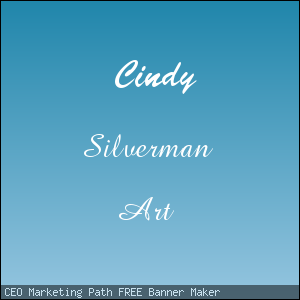 For instance if you have an artist’s website you may want to place banners that link to art supplies. If you’re a musician you can put links created to sell music, get free downloads or check out other bands. This is good because all the ads you put on your website will go into your pocket instead of someone else’s. It doesn’t matter if you’re a newbie or already have a business you will be able to learn your next step on your journey. It also doesn’t matter whether you have a service or a product, you will be able to learn how to market both with the methods you are taught. Whatever your reason for wanting a business you will be able to get expert support in getting setup. Don’t be afraid to ask questions. You will have access to one of the largest web design and marketing resources on the internet. You will have access to all the tools needed in order to do your research and writing. Website building/hosting applications for your business. Absolutely everything you need for your business can be found here. Wealthy Affiliate is an online educational resource where you can learn about various methods of marketing your website. After signing up for a free site you will learn how to build it using WordPress which is full of pre-designed templates you can customize in infinite ways. Next you will learn about the different kinds of online marketing techniques you may want to use. You can choosemodel that works best for your personal lifestyle or business. Once you have decided on the best way to proceed, you can focus on the full courses offered that will allow you to realistically reach your goals. One of the things that I noticed right away was that the owners of the business are actually involved with the students. You can ask questions and get real answers. Not to mention all of the other experts that you have access to. The community is vast and there are people from all walks of life. Just like you, they there to become educated which means you can study with people who have similar goals. As a free member you will learn how to get started with your website and the various marketing methods. You can remain a free member for as long as you want, while maintaining access to the Wealthy Affiliate community. When you become a premium member you then have access to all the courses they offer without any further up-sales. When you join with the free membership you will have these resources available instantly! Asking for no money down may seem unrealistic. This may be one of the few times when something looks too good to be true and actually is true. Let me tell you why. When you join the Starter program it allows you instant access to the Wealthy Affiliate community. This includes availability to live chats, over 500 training modules, 3 classrooms, networking, 2 free websites, access to the keyword tool and so much more. I have not found any other offer like this in the industry. Its an excellent place to start. The Wealthy Affiliate Premium package is really the only way to go if you are even somewhat interested in starting an online business. This company was created to take care of all your web building needs. People often find it hard to be motivated when learning a new skill, especially if they are worried or do not have a good support system. They have gotten rid of unnecessary hosting charges and the extra cost of hiring a professional website builder. You do not have to pay for hired help and there will be no need to waste hours constantly searching the net for answers to your questions. They offer you all the best training. They have taken care of the common obstacles that can often deter your success. The premium program includes everything needed to start an online business at one very low price. I think once you have Wealthy Affiliate Premium, you will never again need or want to buy an expensive online success course. You can do some research for yourself and you will see what I mean. Absolutely EVERYTHING you need is at Wealthy Affiliate including personal and expert help from real professional experts. If I would have had the good fortune of joining Wealthy Affiliate before becoming involved with other programs, I don’t think I wouldn’t have given up for as long as I did. If you join right now for free I will give you some extra bonuses! so click above to find out what I am talking about. After you have reviewed this program and realize it is completely legit then you can decide if and when you want to become a premium member. When you join make sure to follow through with building your website and taking lessons because “YOU” will be the biggest factor in your success. I am going to close with an excellent quote I ran across on the internet. Click Here for your free membership with some cool bonuses! Please feel free to leave questions or comments and I will gladly get back to you. Hi Tom. I really like your perspective here on this review. Knowing that this is coming to us through a musician’s eyes has an appeal guys like me. I’m not really an accomplished musician, but I do like picking up my bass and running through some tunes or picking up my acoustic and just playin’ in the quietness of the late night or early morning. So I tended to pay attention on quite a few things here. I also like what you said in the “Cons”. I never even considered that there would be someone that didn’t really like playin’ around with a PC or laptop. Great stuff here on this review to read and consider… great info on a great idea! I have musician friends who wont do any thing on the computer for various reasons so they probably need to get some one else to run a website for them and that cost more money. Great review! I’m a member of Wealthy Affiliate and can honestly “second” everything you wrote! 😀 Best regards.